This evening my son and I put in soil heating cables in to the pumpkin patch planting areas about 6-8 inches down in the soil. These cables will be left in the soil the entire season and will help make sure the root zone is at least 70 degrees. When the soil is warmer, to a certain limit, more biology will be active in the soil and will help feed the plants. In the spring, in particular, the soils can be cold, and if you transplant into cold soil it can make for very unhappy plants. Right now I have the soil heating cables in and then clear plastic on top of the soil which will further help to heat the soil. Prior to installing the heating cables I tested the temperature about 7 inches down. It was 63 degrees. Not bad, but in the next week I expect it to get up to at least 70 degrees which will keep the plants happy. In the greenhouse I'm not adding the heating cables. It will use the geothermal system, which I still need to get the fan hooked up to. I checked that soil and it is 69.8 degrees right now in the planting areas. I have clear plastic on the planting area it and when I get the greenhouse closed up I should easily get the soil to about 75 degrees in the next week. All of my initial seeds germinated except for one of the 2255s. So I started a second. I had almost given up on it at about the 48 hour mark, but then it popped. All of the seeds are now pushing plants up through the soil now except for the newly germinated 2255. I kind of thought that 1409 Miller would be the hardest seed to germinate, but it has been one of the most aggressive. I've had no luck with the 282 Scherber seeds so far that my son is supposed to grow. The first two didn't germinate. 2nd two are just past 48 hours and haven't germinated either, so I may not have a 282 seed for him. I have a 1478 and a 1146 seed, which are both a selfed 282 seed, so they will be my backups if plan A doesn't work. Yea! The first true day of the pumpkin growing season. My son and I have started soaking our seeds. We first started by sanding the edges of the seeds. The, in some warm water, we added a touch of humic acid and a small drop of liquid seaweed. Those two things will help the seeds germinate. We are going to soak the seeds for about 4 1/2 hours and then transfer the seeds to lightly wet paper towels that we will put in zip lock bags. That will then be placed in a closet with a thermostatically controlled space heater and a heated seedling mat. That should get the seeds to about 85 degrees. About 80-90 degrees is the target range. In about 22 to 30 hours the tap root will start coming out of the seed. At that point I'll put the seeds in a pot that has a soilless growing mix (ProMix BX), mycos, azos, humic acid and Actinovate. Those pots will be in the same closet with the space heater and has grow lights. I'll take the plants out for sun from time to time, but the plants will stay in the grow closet for about two weeks. At which time, I'll plant them in the patches. 2005 Haist (1867 Barron x 2003 Haist) - I like seed because the pumpkin this seed came from had a good shape and the 1867 Barron has grown some nice pumpkins consistently. Also like all of the 2145 genetics in it. The orange color is a bonus in my opinion. The 2003 pollinator was beautiful for its size. Very orange and shiny. A little too ribby to be perfect, but I feel in love with that pumpkin and knew I had to grow a seed from it. But then I discovered the 2005 and thought it had an even better cross. The fact that it is also a seed from the 4th biggest pumpkin ever grown last year was also a nice bonus. My son is growing the 282 Scherber. He and I are doing a crazy little project together with it. The 282 Scherber is clone of the 1725 Harp plant that grew the first one ton pumpkin. That clone was selfed to produce the 282. So genetically speaking it is the closest genetically to the world record 1725 plant you can find. That 1725 plant was crossed with the 1409 Miller and the seeds from that pumpkin (2009 Wallace) produced a number of world record pumpkins and a large number of one ton pumpkins. Most all of the biggest pumpkins today have 2009 Wallace in their lines. The funny thing is that nobody ever did another 1725 Harp x 1409 Miller cross. It is past its prime now (I was going to do this cross 4 years ago), but if you look at the numbers, the 2009 seed isn't much behind the 2145 McMullen seed in terms of big progeny. So we are hoping to get these somewhat older seeds to germinate and do that cross this season. I've put on hold the Pumpkin MythBuster Series for now. Might do one post tomorrow, but I'll restart it again in the next three weeks. Need to concentrate on growing right now and the weather isn't being kind to get the last pieces in place. I got the lab results back two days ago on my soil samples. As any good grower will tell you, getting your soil tested is the starting point to growing a big pumpkin. If you don't know what is in your soil then you don't know what to add and you need to keep everything in balance. Yesterday I called Western Labs to talk with John Taberna. I usually give him a call after getting my reports back to understand pieces of it better and he usually ends of adjusting some of his recommendations based on the questions I ask him. He is the best soil scientist I know of. He sometimes gives more detailed recommendations on what specific types of fertilizers to use when I talk to him on the phone than what is in the report and he usually will have recommendations on how and when to best apply them. One thing I asked him about is why one patches nitrates where way higher than the other and why the nitrates where much higher than I've ever had before on any previous soil report. I treat both of my patches the same and typically put down in the fall about the same amount of compost on each patch. The answer was interesting, but should have been obvious. The nitrates in the greenhouse soil were about 6 times higher than the outdoor patch. I asked why? The answer, after some discussion, was that the nitrates in the outdoor patch had leached out from all of the winter snow. I don't know what our total accumulation of snow was for the winter, but for the better part of the winter we had 3+ feet of snow in the yard. That means we probably had at least 4" of precipitation or more that percolated through the soil, leaching out the nitrates from the soil. The greenhouse soil was covered so it only saw a small percentage of water from the irrigation I gave it from time to time during the winter. Nitrates don't stay in the soil very easily and can leach out. John says the nitrates in the outdoor patch are still there, but farther down then the 5-8 inches I was getting my soil samples from. After knowing that and seeing the amount of organic matter in the soil he adjusted down the amount of nitrogen to give the soil during the season. The other part of the conversation that was interesting with John was about soil pH. I think sometimes we as growers get too caught up on some aspects of different parts of growing when in fact is that it may not be as important as one might think. When looking at my soil pH which is at 7.6, John said, "That is right about where you want to be." That surprised me. He then mentioned that Steve Daletas and Ron Wallace have pH's that are about the same as mine. A lot of what you read is about nutrient uptake for most plants is best around 6.5-7.0, so most growers do everything they can to raise or lower their pH to something in that zone. For my soil that is nearly impossible because of the amount of lime in my soil and higher pH waster. The fact is that it is true that 6.5 is ideal, but not in the way I thought and I have a better understanding of it now. To some degree, the only thing that matters when it comes to the soil is what is in the rhizosphere around the roots. The rhizosphere is the area around the roots and that is where almost all of the magic takes places. To put it simply, the root hairs excrete acids to get at the nutrients in the soil. That acidification can decrease pH by as much as 0.75 pH units. So although the soil pH may be too high, the rhizosphere that is important might be just right. John mentioned that the acidification of the soil typically goes out about a quarter of an inch, but with myco that may be extended as much as a couple of inches. The ideal soil pH is about 6.5, but that is in the rhizosphere and not the overall soil. If you have a high pH soil, do you need to add sulfur to adjust the pH then? Yes for a few different reasons. But it may not be as critical as some growers make it sound. 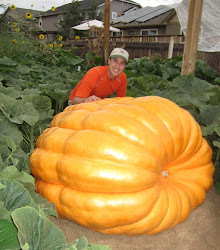 There have been lots of big pumpkins grown in higher pH soils. Pumpkin MythBusters: Can Azos Help Grow Bigger Pumpkins? Sometimes scientists will go through all of the data from previously published studies from different journals (called a meta-analysis) to try to get an overall picture of results from the different studies. In one such meta-analysis from 59 different articles on Azospriillum (Azos) they looked at the effects of Azos on wheat growth. When it comes to beneficial bacteria and fungi, I have 2nd hand knowledge (but from very reputable sources) that some of the mykos on the market is about is worthless as kitty litter. I know the grower that sent samples into labs, contacted the distributors and in some cases the problems were corrected and in other cases they were not. So when it comes to beneficial bacteria and fungi know the source and know the expiration date because sometimes what is on the label isn't accurate and in other cases what is in the bag is largely dead and not viable. So back to the studies. In looking at the value of Azos and its effect on wheat the conclusion was that "A mean increase of 8.9% in seed yield and 17.8% in above ground dry weight was found to result from inoculation of wheat with Azospirillum." Now I know that pumpkin growers aren't growing wheat but you won't find 59 studies on Atlantic Giant pumpkins (more money in wheat) so you have to extrapolate. But if I could get a pumpkin 8.9% bigger by using Azos I'd do it every time. As I understand it Azos has an affinity for grasses, so the effects on cucurbits might not be the same. I can't find any studies done on cucurbits, but I can give the observations from my own experience and a few other growers. 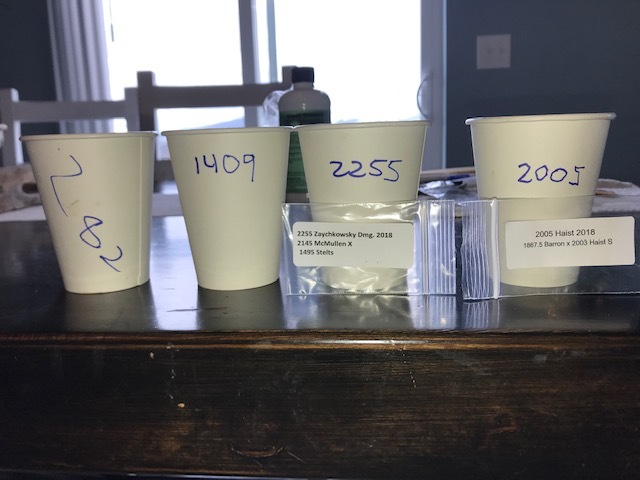 About the time that Azos became commonly available on the marketplace myself and three other growers applied azos to pumpkin seeds when they went into the pot. All of the growers saw the same thing. Faster and aggressive germination. As near as I can recall I all saw the same thing. Each of us lost one cot leaf because it was tore off as the seed popped from the seed shell. It could have just been a coincidence, but it seemed to common for it to be just that. Because of that, I put my Azos about half way down in the pot so it doesn't come in contact with the roots immediately. For is this myth busted? I don't think so. 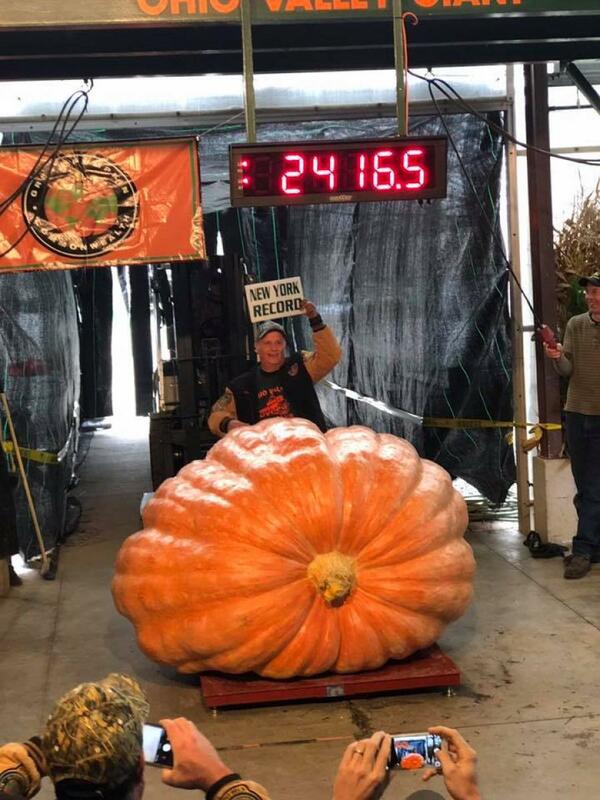 The data seems to suggest that Azos can possibly produce bigger pumpkins. If you go into any garden center you'll find one or more bags of bloom boosters in the isles. Any grower who sees those bags at big box stores and garden centers could easily conclude if you want more flowers on your pumpkin plant around pollination time then adding some bloom booster could give you the desired results. But does it? Most bloom booster formulas have a higher amount of phosphorous, potassium or both and usually a lower amount of nitrogen. The amount in each formula tends to differ, which suggests their isn't a consensus on the perfect bloom booster formula. Pumpkin plants need a certain amount of phosphorous and potassium to grow properly. The goal of any grower looking to grow big has to be to keep nutrients within the narrow margin for optimal growth. Too much of most nutrients and you'll have problems. Have too little and you'll have problems. Get it right in the Goldie Locks zone and you'll grow big all the time. Phosphorus is critical for plant growth, but plants don’t need a lot of it. The American Rose Society says “Commercial growers of roses for cut-flower production typically use fertilizers with a 3-1-2 NPK ratio.” Most soils are not deficient in phosphorous and phosphorous does not leach from soils so typically very little is required. So adding extra phosphorous to the soil may be creating a less than optimal or even toxic soil if it is overdone. One study looking at flowering rate based on nitrogen, phosphorous and potassium application rates found that "the P requirement...is low for reproductive development. Each plant produced over 20 flowers, even when no P was applied." Suggesting that as long as their is sufficient phosphorous for flowering that adding more will have little to no impact on flowering. Potassium plays an important role in regulating water and nutrient movement in a plant. You'll also find high levels of potassium in a pumpkin. Basically potassium acts like a pump in moving water between cells and with that moving nutrients through the plant. Unless a plant is very potassium deficient to the extent it is impeding water and nutrient movement, it won't affect flowering. Potassium, as a result, has little direct effect on flowering. So what does affect flowering? Plant hormones. Auxins (IAA), cytokinin and gibberellin in particular. When the right levels of each hormones are in place than there are signals to the plant to go from vegetative growth to flowering and fruit. This makes sense right? When your pumpkin plants main vine gets from 7 to 12 feet out from the stump then suddenly flowers start appearing, right? It wasn't the addition of potassium or phosphorous that suddenly made the flowers appear. There is a clear change in the plant that happens around that stage of growth and that change is hormonal and not so much nutrients as long as the minimum required amounts are available to the plant. So the myth of "bloom boosters" is busted. If you want more flowering and earlier flowering then you'll need to manipulate the plants hormones and not the nutrients. Although that probably isn't advisable. Give the plants what it needs and be a patient grower and you will probably yield bigger pumpkins by the end of the season. Pumpkin MythBusters: How Big is a Pumpkin Root System? I often see posts from growers asking how far down the tap root goes down and how far out the root system goes out from the stump on a pumpkin plant. I found this old study many years ago and thought I would share it here again. Too often I hear growers share their opinion about the width and depth of a pumpkin plants root system that are just wrong. I think the best growers understand that when you bury vines, the entire patch can be covered in roots if the proper environment is created. In a “one-of-a-kind” research project in 1927, John Weaver and William Brunder, botanists at the University of Nebraska, grew many different vegetable crops and, over time, excavated and mapped the course of the root systems. They published their work in a book titled “Root Development of Vegetable Crops,” published by McGraw-Hill Company, New York. To my knowledge, no one since has attempted such a difficult task. Vines of ‘Small Sugar’ pumpkin were about 16 feet long at maturity and the top 12 inches of soil were filled with roots. The taproot of mature pumpkins grew 6 feet deep and had 10 or more lateral branches that extensively branched outward for 5 to 17 feet or more. Many of these lateral roots were 2 to 4 feet long and all complexly and minutely rebranched, forming a “wonderfully efficient root complex”. The second and third feet of soil were also thoroughly filled with roots, with the fourth foot of soil containing many vertically descending roots. It is probable that the root systems of larger pumpkins varieties such as Atlantic Giants may be much more extensive than those reported in this book. In no post asking about the depth of the roots have I ever seen anyone post that the roots go 6 feet deep. Usually comments are about just a few feet. I'm busting that myth here. Would be interesting to see how much bigger a root system of a 2145 McMullen in world class soil would look like in comparison to a Small Sugar variety. Growers should carefully consider their walking boards and how far out they are properly preparing their growing area. If you aren't prepping at least 16 feet out from the stump in all directions you may be missing some opportunities. 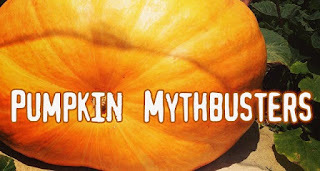 Inspired by the popular Myth Buster's TV show, my plan, starting Sunday, is to do a series of posts about commonly held giant pumpkin growing technique myths and debunking those that aren't true, based on scientific literature and actual testing. Too often there are commonly held ideas in gardening and giant pumpkin growing that get passed on from grower to grower that just aren't true or there is no proof of their truth. The end result is that we end up spending a lot of time or money doing things that are either are not overly helpful, are overly time consuming or we are spending a lot of money for something that has little value. For example, I've heard it said by more than one grower/gardener that you shouldn't water during the heat of the day, because the water droplets act as magnifying glass and on a sunny day your leaves will get burnt. Most things like this have a common sense element to it, where if you think about it, a water droplet on a leaf does have a shape of a magnify glass and it could focus the sun's rays and as a result you get a burnt leaf. That makes sense, right? The other side of it is have you heard of forests going up in flames after a rain storm followed by sun? Obviously water droplets aren't causing rain forests around the world. So the trick is to just not go by common sense and try to get at what testing and science can tell us as to what works and what doesn't. Now does science know everything? Obviously not. You have to look at the source, how the testing was done, what the scientists/tests goals are in the experiment, what the sample size was and what type of crop the scientists were using in their testing, because not all plants are Atlantic Giant pumpkins and each plant is a little different. But good science is pretty objective and should get us closer to the truth and as a result get us a bigger pumpkin. Some of the things I'll be posting were a real surprise to me. A few I even read from well respected "growing personalities" and heavy hitters and I believed were true. But the science and testing is saying otherwise. So stay tuned next week for the start of the giant pumpkin growing myth busters and maybe like me you might learn something new too.